The Princess and The Peacock, founded in 2011, is a complete one-stop shopping destination for at home painters! The Princess and The Peacock founder, Sarah Nichols, is a Wise Owl Chalk Synthesis Paint Retailer, offers Furniture Painting Workshops and Custom Furniture Painting and Home Decor items. We currently have multiple locations, 13 Hope Ave, Worcester MA, within The Antique and Auction Center . 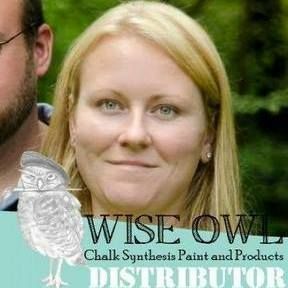 You can find Wise Owl Chalk Synthesis Paint, Cling On Brushes, Scrubby Soap, home décor, antiques and furniture. Our second location is 4 Worcester Street, Grafton MA, within Off the Common Antiques. You can also find Wise Owl Chalk Synthesis Paint and Cling on Brushes, Scrubby Soap, unique home decor items that are vintage, up-cycled, re-purposed and hand painted furniture of all styles. Our third location is 61 Endicott st. Norwood, MA within Salvage Angel. Open Friday 10am-5pm, Saturday 10am-5pm, Sunday noon-5pm. A unique shop specializing in antiques, original art, salvage art, collectibles and unique gifts. You can also find Wise Owl Chalk Synthesis Paint and Cling on Brushes, Scrubby Soap. Painting 101 Workshops are located at all locations. If you have a group of friends wanting to take a class together accommodations can be made. Make sure you book your class in advance because they fill up quickly. We also offer customized painting, repair and re-finishing for your personal furniture pieces in need of revival! All of our pieces are hand painted and sealed with top quality products to withstand heavy use. Thanks for visiting The Princess and The Peacock!